Have you ever gone to the salon or barber shop to get a haircut? You think you’ve done a good job explaining just what you want your hair to look like. The barber or beautician seems to be on the same page, and you can’t wait to see the brand new you with a brand new style. Then, your chair spins around after the cut and style, and the final result looks nothing like the new-do you’ve been dreaming of. Luckily, hair grows back. Teeth, however, do not. That’s why we take our time helping patients choose the best cosmetic and restorative dentistry services to help them create healthy, beautiful smiles they’ll feel proud to share. What are Dental Wax-Up Models? Dental wax-up models are just one great way we ensure patients can feel completely confident in the possible results of their treatments. If you’d like to see just what your smile will look like before we move forward with any procedure, don’t hesitate to ask us about a wax-up model of your smile. It may add a few extra days or even weeks onto your overall treatment time, but when it comes to smile transforming cosmetic and restorative dental services, it’s often better to take a little extra time during the planning stages than to end up with results you weren’t expecting. Why Would I Need a Dental Wax-Up Model? 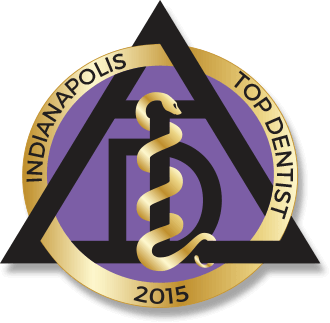 We typically recommend patients have a wax-up model done, if they are in need of advanced cosmetic or restorative dentistry services. In these cases, patients often struggle to visualize just what their smile will look like after treatment, and your family dentist can struggle to accurately describe the results you’ll see. That’s where high quality wax-up models from our dental lab come in handy. These are accurate representations of your smile following proposed treatments. You’ll be able to see exactly what your smile will look like, and if you’re unhappy with any aspect of the result, we can have the model adjusted until it represents exactly what you’re looking for. This allows us to catch potential concerns before treatment is started. I’ve Already Scheduled a Treatment – Can I Still Get a Wax-Up? If you decide at any point before we begin treatment that you’d like to see a wax-up model before you get started, give our team a call. 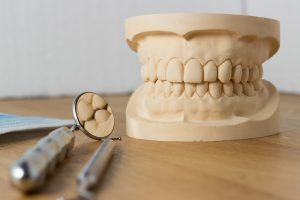 We may need you to come in for some additional dental impressions and x-rays, but in the majority of cases, we can create your wax-up model with the diagnostic and planning information we’ve already gathered. We never want our patients to undergo any treatment until they feel 100% confident, so please don’t hesitate to let us know if you’d like more information including a wax-up model before we begin your procedure.